DETROIT — Arabs across the world and especially Arab Americans have long found themselves shackled by controversy, whether for practicing their religion or culture, or for simply living in lands where they are misunderstood or vilified. These life experiences have been challenging for those who have lived them, but they have also made for fascinating subject matter in the world of novels, films and other works of art. Two such films will be on display at the upcoming Freep Film Festival, focusing on the topics of cultural taboos and government surveillance, respectively: “When Arabs Danced” by filmmaker Jawad Rhalib and “The Feeling of Being Watched” by director Assia Boundaoui. “When Arabs Danced” documents the diverse collection of creative voices that populate the Muslim world, where creatives of all disciplines grapple with fears and questions of whether their art is suitable for society’s rules and expectations. Rhalib, who was born in Morocco, told The Arab American News that his journey shooting the film was inspired by growing up as the son of a belly dancer, whom he called a “very free woman”, and facing insults from friends and community members in his neighborhood, along with the January 2015 Charlie Hebdo shootings over a cartoon of the Prophet Muhammad deemed to be offensive. “When Arabs Dance” focuses on both the spirit and exquisite details of the art as well as the controversy, and consternation, its very presence often produces in the Arab and Muslim worlds. The film premiered at the 2018 Toronto International Film Festival, where it was an official selection, and will be shown at 7:30 p.m. on Saturday, April 13, at Wayne State University’s DeRoy Auditorium. 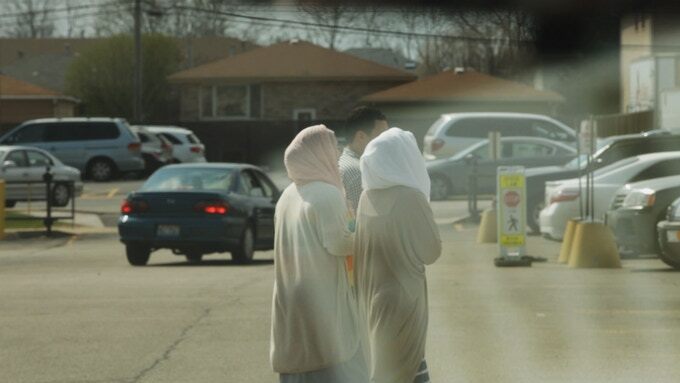 Boundaoui’s film tells the story of the War on Terror from the perspective of a quiet, fear-stricken Arab American community in Bridgeview, Illinois, near Chicago. In the film, she uncovers one of the largest counterterrorism investigations in U.S. history prior to 9/11 and explores its impact on the community. Another woman describes how her family was forced to watched their words at an extremely heightened level, avoiding the use of phrases such as describing a movie as being “the bomb” because of fears of being spied on and retaliated against. The film will be shown at 5:30 p.m. on Saturday, April 13, at the Marvin and Betty Danto Lecture Hall at the DIA. For more information on the festival or to buy tickets, visit https://freepfilmfestival.com/.